Here's some incentive to join us - save $10 on a weekend pass for the show, regularly $15 only $5 with the coupon! And if you're still considering taking a class, you can use the Exhibitor and Friends Discount Code to receive $25 off a full day class or $15 off of a half day class. 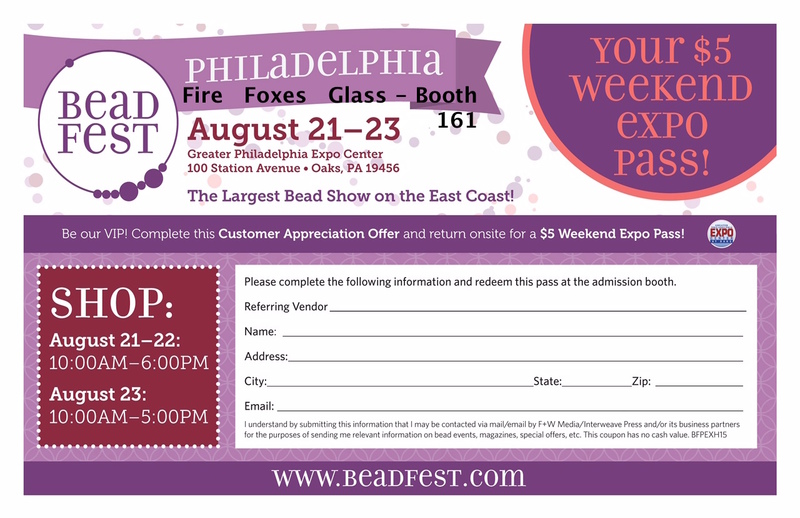 To use the code, simply enter the code -EXHOFF15 at checkout on the BeadFest Philadelphia class registration site.